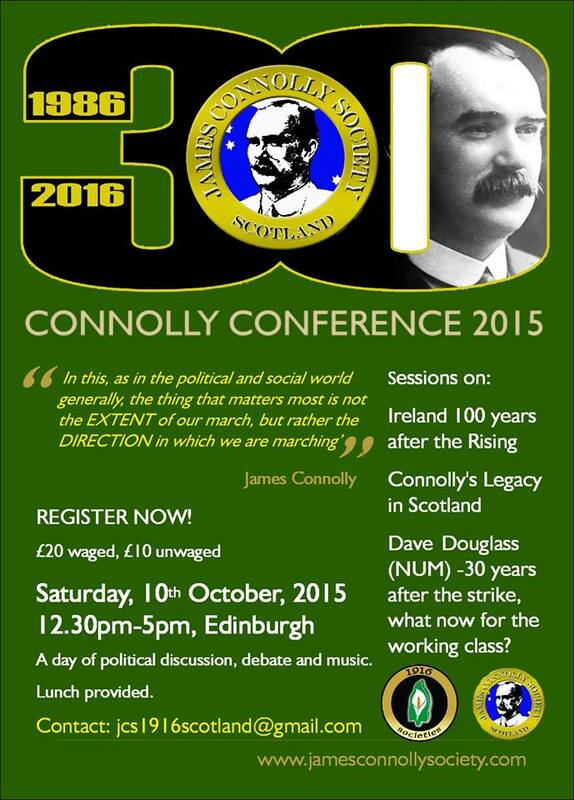 This years Connolly Conference 2015 will be held in Edinburgh on Saturday 10th October. Speakers from Scotland, England, Wales and Ireland will discuss political developments in the context of James Connolly’s life and work. Official Connolly Conference 2015 poster.